It’s no secret that floral sales surge around the holidays. In fact, according to a recent Nielsen report on floral retail trends, nearly 33 percent of annual floral sales come from just five holidays, with Valentine’s Day and Mother’s Day as the unsurprising leaders. However, your store shouldn’t have to wait until a holiday comes around to see a boost in your floral sales. With a few innovative approaches, you can encourage consumers to think twice about checking out without “checking out” the floral department. Here are five creative ways to boost floral sales this summer. 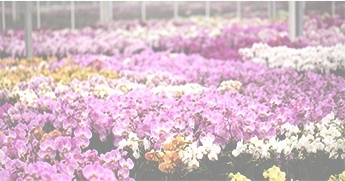 The top floral retailers set themselves apart by diversifying, according to the Nielsen report. While bottom-level retailers see almost 54 percent of their sales coming from bouquets, top retailers offer a larger assortment of options — like foliage plants, outdoor plants and houseplants— throughout the year. Since floral purchases are not often spontaneous, it’s important to do whatever you can to catch the eye of your potential customers and encourage the impulse buy. Consider positioning an indoor flower stand in a high traffic area of the store or staging a dramatic display. The more creative, the better. Flower arranging can be intimidating for many people, so providing an educational opportunity can help bring attention to the offerings of your floral department, while also establishing customer loyalty. Assist your customers by helping them to create one-of-a-kind planters that they can then take home. We have an easy terrarium DIY blog to follow if you need some help conducting a class. You may also want to consider providing class members with a discount coupon to encourage shopping when the class ends. Often, once shoppers are inside a store, they’re too focused on the items they need to buy and aren’t as likely to browse. By setting up a sidewalk sale at the entrance of your store, you can catch customers before they’re distracted by other products. Plus, seeing flowers outside* on a sunny day will put shoppers in a summery mood—making them more likely to take that vibe home with them. 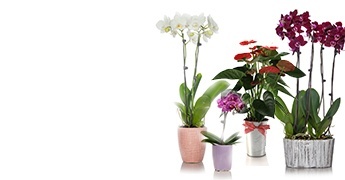 *If you are selling indoor houseplants make sure to keep them properly shaded. Indoor houseplants should not be in direct sunlight. Sure, most people know to buy flowers on Valentine’s Day, but what about lesser-known holidays that are also worth celebrating? 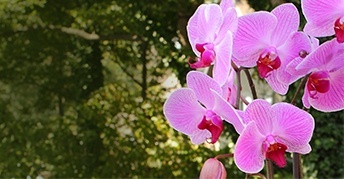 For instance, July 30 is International Day of Friendship, which could provide a good opportunity to promote a small flower arrangement or potted plant, such as a mini orchid. As you try out different floral sales boosting techniques, make sure to track your sale metrics so you’ll know what works and what doesn’t. That way, you can make next summer’s sales even more successful. 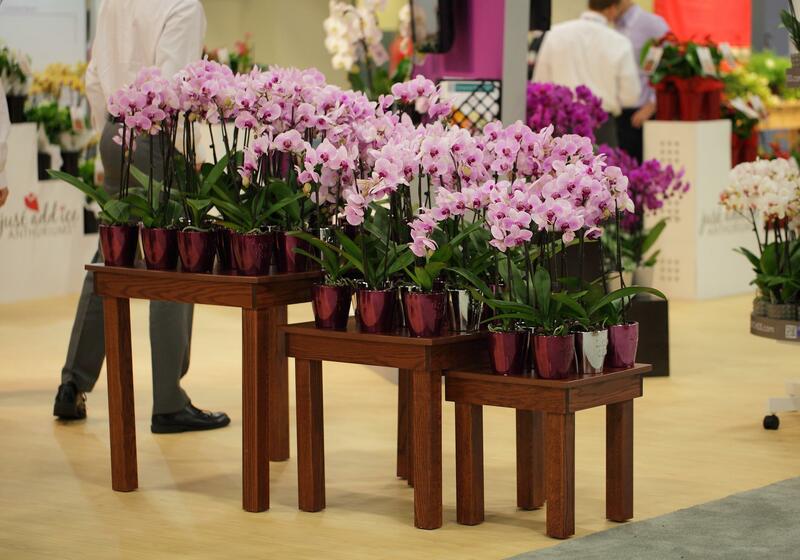 Get your customers’ attention with a beautiful orchid display. 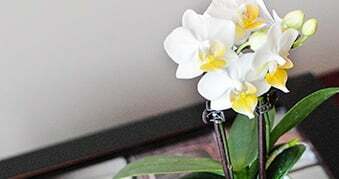 Click here to learn more about selling our orchids.